Great location to the beach and restaurants. Very clean and comfortable. We had a great time! Just wanted to get a way for a couple days, it was prefect for 2 couples. Thanks again Crystal and Aris! Great condo! Aris was extremely helpful, and was great to work with. Loved the fact that it was within walking distance of the beach! Would definitely choose to stay here again!! My family and I really enjoyed our stay here. Making the reservation was very easy. The condo was clean and comfortable. We’ll definitely stay again. I very much enjoyed our stay at this condo. It was comfortable and clean. Aris was very helpful every step of the way and easy to reach. This condo was close to everything we needed from shopping to dining. I’m already looking forward to staying there again! I highly recommend this to anyone. Staying here was so pleasant! Loved our short stay! The owners are amazing to work with and answered our questions quickly. This was our first stay and hopefully not our last! Thank you! The condo is great for a small group or family! It’s very close to oceanfront and local attractions. It was clean and comfortable, I will book it again for future vacations! Close To Everything And Perfect! Perfect size and price for a small group. Very close to the beach and local attractions. Great amenities also! I highly recommend! The place was perfect. The owners were awesome and we couldn’t have asked for a better time! Booking was a breeze with the owners. 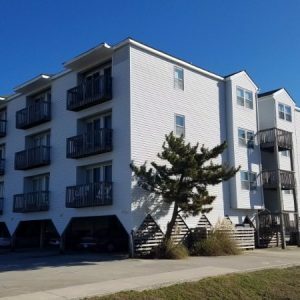 This condo has everything you need to enjoy your time in the Outer Banks. 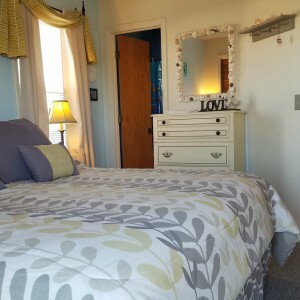 It was Clean..Cozy…Quiet…Convenient to get to the beach,restaurants and all other sites in Nags Head,Kitty Hawk,Duck..etc. Hope to stay here again this summer with the kids. This property was clean and comfortable. It was a very short walk to the beach and convenient to many restaurants and local sites! The owners are very attentive and responsive. We loved our time in Kill Devil Hills! Perfect For Our Girls Getaway! The Condo Was so Cute And Clean! Aris Was Great To Work With! Thanks! We thoroughly enjoyed our stay in your condo! Thank you so much for your hospitality and for being so easy to work with! I will definitely keep you in mind for future trips to the OBX. It was a great location with close acceess to the beach and close to groceries and restaurants. The owner was very kind and responded quickly for communication during the stay. 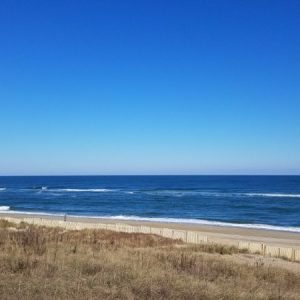 If you are looking for a place to stay in OBX, i would recommend this condo. I Had A Great Stay. It Was Nice Clean And Just A Short Walk To The Beach. Our second time staying here. Great unit, great location, great host. Not much else needs to be said. Comfortable 2 bedroom condo a short walk to the beach. Quiet family-oriented facility. Was able to park right underneath the building, just a few steps away from the door. Convenient to local stores and restaurants. Owners are awesome and makes sure your stay is the very best. Super close to beach access. Quiet and relaxing. We were very pleased and it’s very clean. Would definitely stay again. The condo was very nice and clean. Location was great for beach, restaurants, shopping. The owners are wonderful!! We really enjoyed our stay!! Thank you saw much. 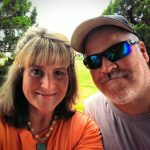 We had a lovely time and will definitely be keeping your info for future time at OBX. Appreciate all of your extra info. The condo was in a great location, close enough to the beach, yet in the heart of everything. Reasonably priced and clean. Owners were excellent to work with. We certainly would come back again. Terrific location. Condo had everything we needed for a comfortable stay. Owners were terrific accommodating early arrival. Would stay again. We had a fun time even though it rained during our stay. We were close to some rainy day activities such as Kitty Hawk Museum and a movie theater. The place was clean and comfortable. We enjoyed our stay. Was clean and easy access to the beach and several restaurants. Also liked the keycode lock. Made coming and going much easier. Would stay there again. Great trip for the family. Aris made sure we had everything we needed and the customer service was top notch. 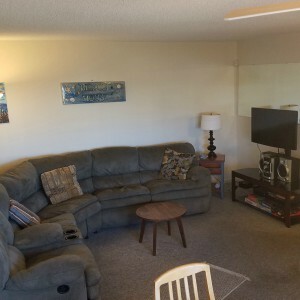 The condo is a short walk to the beach and is well stocked with everything we needed for an enjoyable stay. Will come back! Aris was super helpful and accommodating. The condo was well equipped and clean. It was a great location and the whole group really enjoyed their stay. I would definitely book again considering how affordable it was. I stayed there with my family (2 girls (3 yrs and 5 months)) and my parents. It was a great weekend get away. Close the beach, shopping, and Nags Head Woods Preserve. Great Stay! Great Customer Service! Great Stay In The OBX! Great Condo! Great Customer Service! Great Location! Clean, good location for the area. Has everything you need … home away from home. Owner was great to work with. Thanks for the hospitality and great condo! This was the most economical and comfortable location for me and my kids during my stay here. The owners are great to work with and the home clean and feels like home! Plenty of parking too and close proximity to Duck Donuts and Kill Devil Grill. I like the area and the condo has everything needed to ensure an enjoyable vacation. I highly Recommend this travel spot. The condo was very well kept and in a great location. The owners were very personable and even provided great places to dine and visit. I will definitely be using this vacation home in the future.